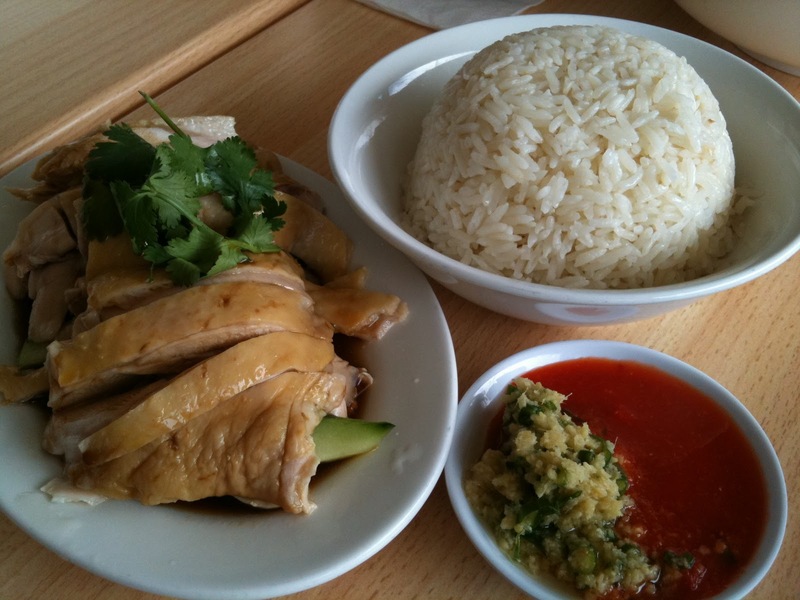 A hidden gem in Calamvale, Malaysia Makanan has become a regular of ours when we’re hankering for some authentic Malaysian fare. 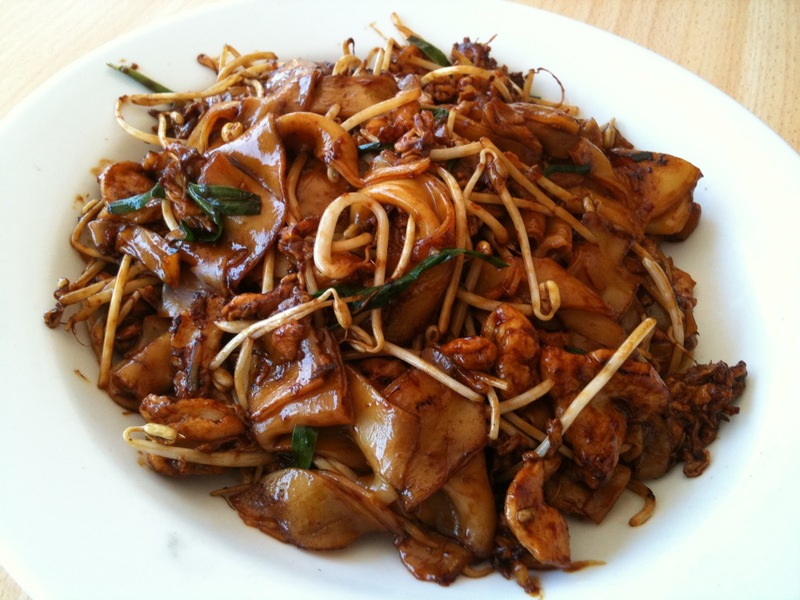 The servings are generous and reasonably priced (below $15 per dish) and include an array of Malaysian and Singaporean dishes such as Char Kuey Teow(CKT), Mee Goreng and Nasi Lemak. 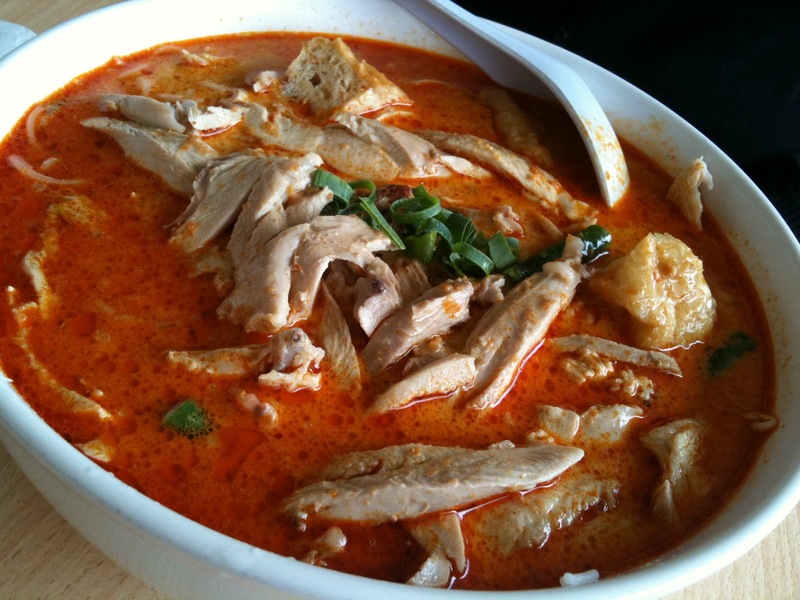 Their curry laksa is tasty and comparable with most others around town. This can easily be shared between two with no-one going home hungry. 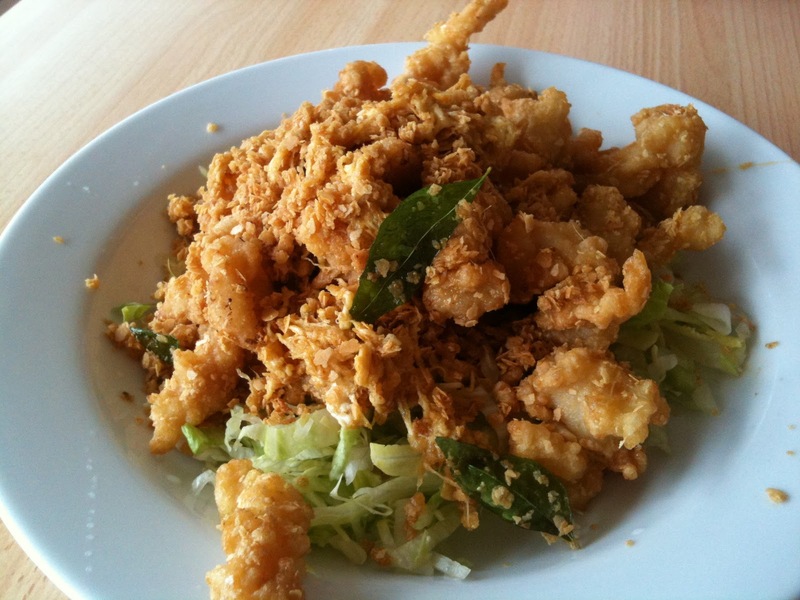 For something a little bit different, we’ve also tried their tofu goreng a few times. 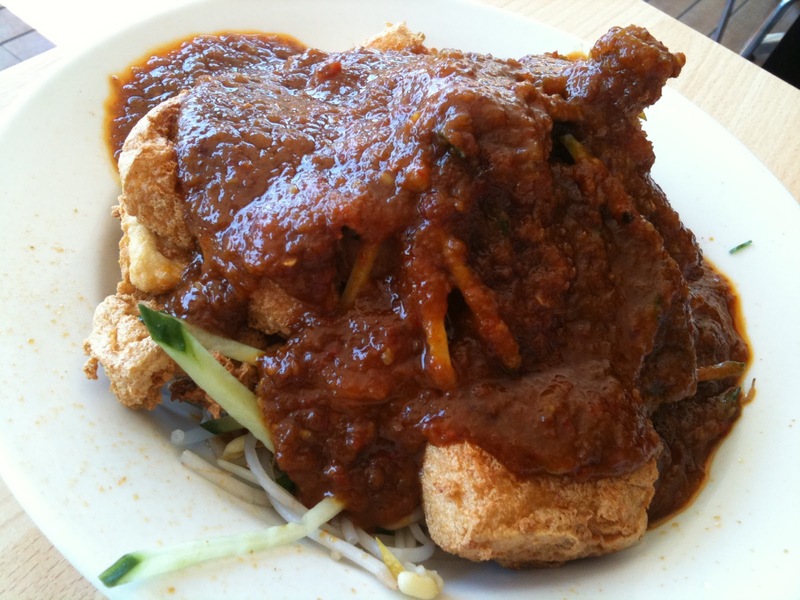 Picture deep fried tofu, covered in peanut sauce, on a bed of bean sprouts and cucumber – moderately healthy! For something a little more fancy, we suggest you give their butter herb dishes a try (available with chicken or prawns). Based on our experience it can be a bit hit and miss but always buttery, yum! We strongly suggest you give it a try, but be prepared to come back a few times as you may get addicted!